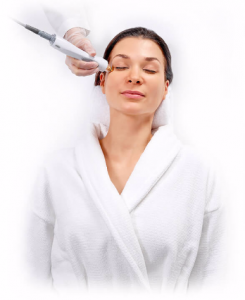 Our Facial Rejuvenation treatment technology utilizes gentle radio-frequency that minimizes facial lines and wrinkles, tightens skin and improves the appearance of cellulite. It’s safe for all skin types and levels of sun-exposure, so it fits perfectly into beauty maintenance routine, any time of year. 99% of patients reported the treatment to be pain-free so you can sit back, relax and enjoy your Facial Rejuvenation Treatment today! 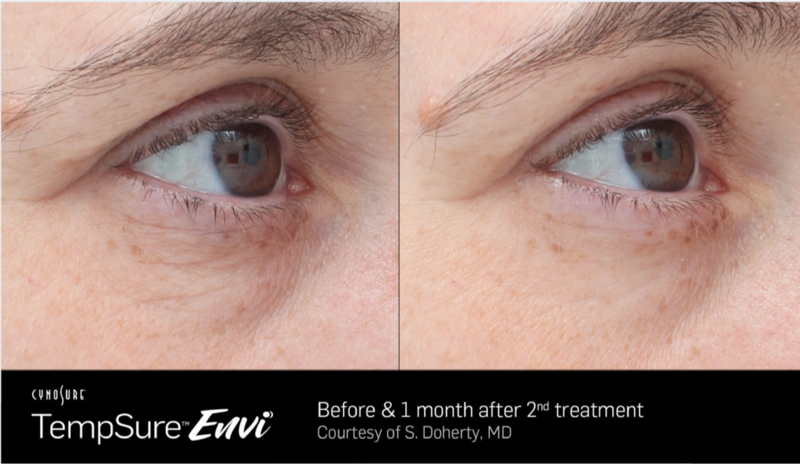 Our treatment targets facial lines and wrinkles. Our treatment delivers radio-frequency technology to gently heat your skin. Increasing the skin’s temperature for a defined, therapeutic time will trigger a natural response for your skin to create new collagen. The new collagen fibers are tight, dense, and neatly organized giving you tighter, younger-looking skin. Our technology targets fine lines and wrinkles on the face and the appearance of cellulite on the body. It’s best to schedule a series of treatments then plan for regular maintenance treatments to help your body counteracts the loss of collagen that is part of the natural aging process. Just like regular trips to your stylist or nail salon, you can make your treatment part of your ongoing beauty regimen! During a face-only treatment, you will experience a gentle warming sensation around the target area(s). Most treatments can be performed in under 45 minutes, which makes this a great lunch time option. During a body-only treatment, you will experience a gentle warming and massage sensation around the target area(s). Most body treatments can be performed in under an hour. After the there is usually only a slight redness of the treated area. The redness generally will subside soon after. You will be able to return to your daily activities immediately following treatment.